Bali, the island of god, is rich in culture and heritage. One of few places on earth that uber luxuriously opulent resorts are standing shoulder to shoulder. Of them all,c. A true jaw dropping cliff hanger, perched high on Bukit Peninsula. 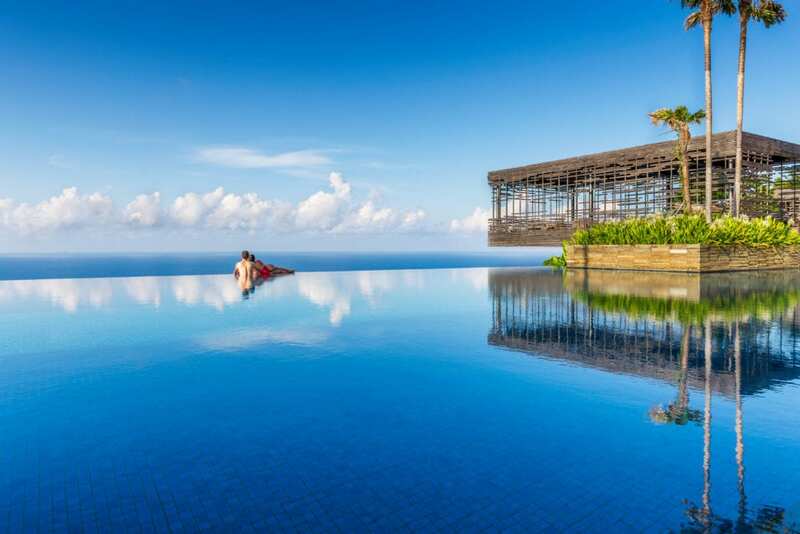 The ultimate show stopper is none other than its Worldly Famous Panoramic Infinity Pool which stretches as far as our eyes allow and seamlessly merges itself, the Indian Ocean, and the horizon into one. If you are ready for the luxurious-fun-in-the-sun retreat follow us, this way! Bali, a surreal tropical state of mind. Get ready to pamper yourself with a fantasy within a reality. A place where free gypsy spirits and authentic sense of luxury perfectly blended and merged into one. 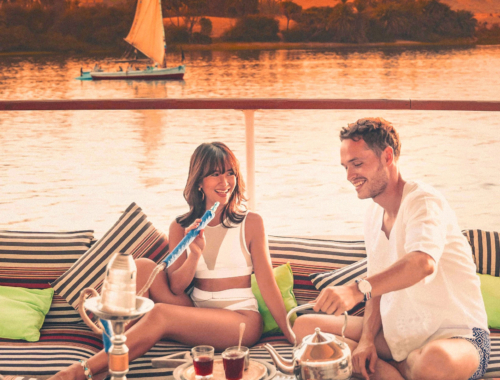 Located in “Valley of Kings”, Viceroy is nothing short of a hidden private paradise making us feeling like true King and Queen of the Valley. The sight of lush green forest stretches as far as your eyes allow it. Wanting to arrive in style at this sanctuary of serenity? No problem, Viceroy’s private on-site helipad is here to serve you. Undoubtedly, Viceroy is the best of Ubud has to offer and the ultimate sweet spot is none other than our “Viceroy Villa” or “The Presidential Villa”, The Crowd Jewel and one of its kind. If you are ready for a check-in, follow us, this way! 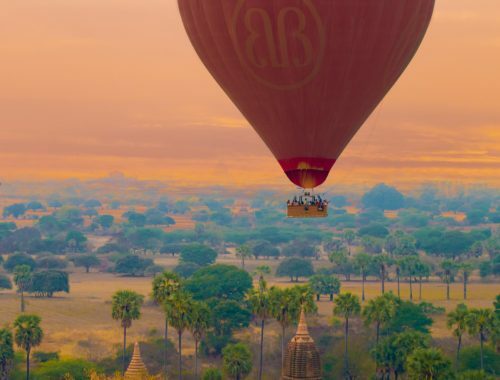 Words just really cannot do justice to the magnificence of this awe-inspiring paradise with unparalleled comforts of classically romanticized Safari Ambiance but we will do our best. Just because it is Safari does not mean it has to be in Africa. 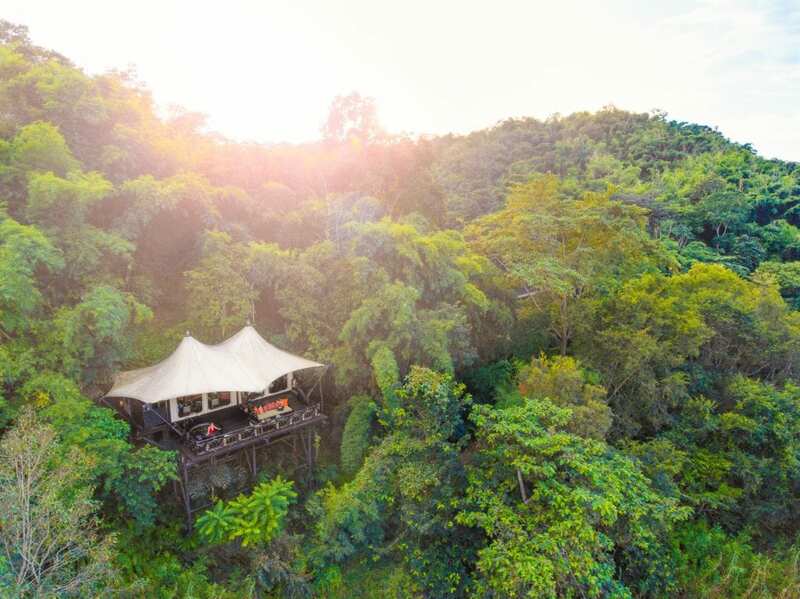 With only 15 jaw dropping luxurious tents that surpassed any expectation and any benchmark of world’s best safari lodges, Four Seasons Tent Camp Golden Triangle is not your average upscale camping ground. A maximum capacity of 30 guests pledged pure intimacy, privacy, exclusivity, and superb personalized service. 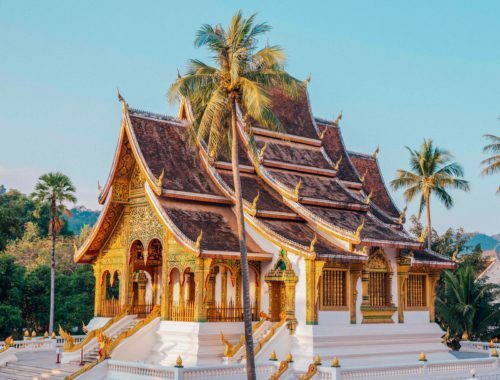 Perched on the edge of the world bearing exotic allure of the precious golden land where three countries, Thailand, Laos, and Burma, seamlessly merged into one, pure romance and true beauty of a bygone age are undoubtedly a guarantee. The design of Four Seasons Tent Camp Golden Triangle is also meant to stretch the boundaries of what a tent can be by taking it to a complete next level. Being one of the world’s best luxury resorts, Four Seasons Tent Camp Golden Triangle has been long overdue on our bucket list. So what could be a better excuse than going there to celebrate our 5th Anniversary? Being there was just like traveling through time to the classic 1940’s era of Safari Fantasies with its majestic scenery of mountains and rivers looming dramatically as the backdrop (if you are extra luck you will also get to see a herd of wild buffalo joyfully splashing water and bathing in the river bank during sunset hour), one-of-a-kind handcrafted furniture ranging from vividly patterned tribal fabrics, to double mirror and sink for his-and-her-bathroom, to the hand-beaten copper bathtub made for two, to graceful wood furnishing and floor, to traditional thatched roofs, to King-Size Bed in exquisite white linen atop with fantastically stylish see-through white mosquito net, to rich Wooden Jacuzzi with hot bubbly water, luxury outdoor rain shower, and to the 19th century exploration decorations. Simply put, it was like we were on the movie set of Indiana Jones and The Jungle Book combined (crowned with sense of outré opulent). Here we also have the friendliest residents and our dearest friends (they are our Baloo and Bageera of The Jungle Book), The Elephants, who were rescued from being abused and mistreated and are now living happily under the protection of Golden Triangle Asian Elephant Foundation. Armed with compasses, zoom lenses, binoculars, and Moeva London Swimsuits we are going to see the world of mesmerizing nature at its rawest format. As soon as the boat pulls up to the balcony of our ultra-luxe 250 square meters’ overwater villa home “Crusoe Residence No.5”, we wanted to jump out into this endless crystal clear turquoise water and blue lagoons, plant both of our feet in the sand, then swim out to our private overwater hammock along with incredible underwater wildlife friends, and lay there from sunrise to sunset. Then stay right there without moving as we watch the stars coming out at night, each one of them blazing out so brightly across the sky, like nothing we’ve ever seen before. Yes, our overwater villa home can only be accessed by boat, that is how exclusive this paradise is. This is by far the best overwater villa we have ever stayed in here in Maldives. Gili Lankanfushi or the formerly known as Soneva Gili Lankanfushi runs with one rule and one rule only “no news, no shoes”. Making it feel so damn good leaving the rest of the world behind as this place leaves us breathless and makes us believe we can walk on water, an ultimate barefoot luxury. Not only that they are a home to the world’s Overwater Villas (Yes! All of those you now see in Bora Bora is the imitation of this) but they also are a home of The World’s Largest Overwater Villa “The Private Reserve” 1,700 Square Meters. It is not often you found yourself in a place that its real life beauty surpasses that of magazines and advertisement you have ever seen. Gili Lankanfushi is a resort beyond any words and expectation. Something truly to be experienced by oneself. It is not a secret that we LOVE Four Seasons Hotels and Resorts. We are always excited and looking forward to each and every stay with the property. Four Seasons is the blueprint of what a true luxury resort should be; setting in superb location, boasting its inside-out beauty with perfect blend between opulent design and authentic local influenced décor, architecture, and style, serving with warm hospitality and highly personalized services (thoughtful touches like complimentary early check-in and late check-out), offering mouthwatering fine dining cuisine, and equipped with award wining spa facility. Four Seasons Chiang Mai is no exception, that is why we have chosen to spend our new year holiday here. 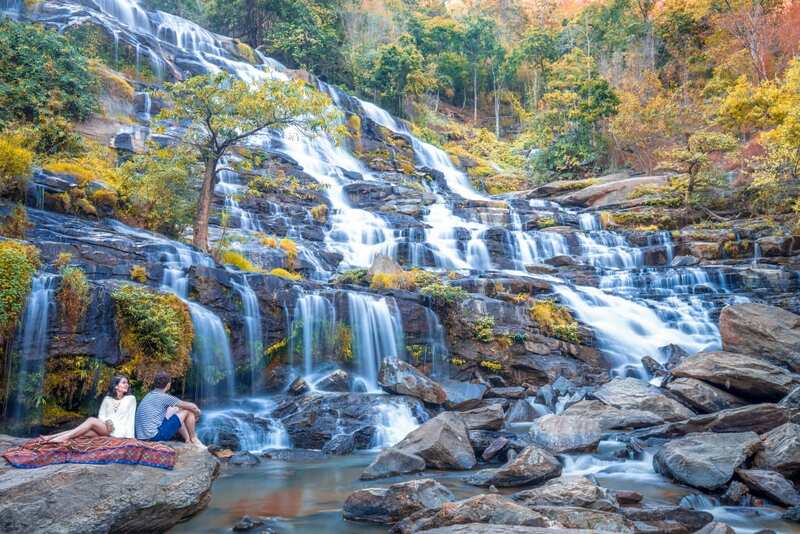 If your perfect holiday is to be woken up into 2016 with gentle winter breeze, living between mountains among the rice terraces, riding and playing with resident water buffalos, private reserve breakfast & dinner, and enjoying the luxurious pamper at the peacefully indulgent paradise, Four Seasons Chiang Mai is the place to be. Holiday Runway is a fine photography travel and lifestyle blog. Founded by Jibbie and Patrick . 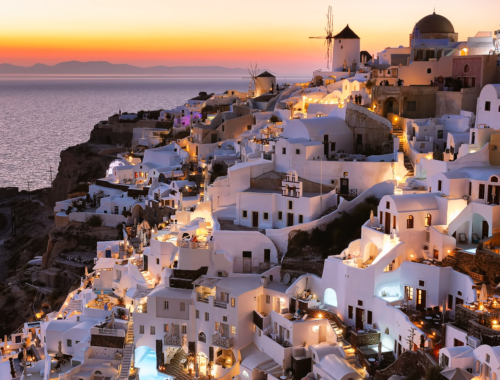 The blog is established upon our principle of "Don't wait for holiday. Make holiday. The World is our Runway".